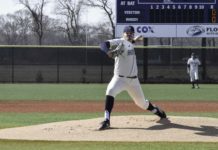 The Rhode Island men’s baseball team winning its Atlantic 10 opening series against George Mason was a great effort and builds off their last series win against Towson. Rhody now has won two consecutive series with a loss at Penn State sandwiched in the middle of the two series wins. The best part of the series win was that the Rams pitching staff held George Mason to just seven runs across the three games. Congratulations to former Rams point guard Xavier Munford, who had his dream realized of playing in the NBA when the Memphis Grizzlies signed him to a 10-day contract. The Grizzlies have since signed him to a second 10-day contract and he has averaged 2.4 points per game to go along with 1.6 rebounds per game. Those averages come in just 10 minutes per game. If the Grizzlies sign him again it would have to be for the rest of the season as you can only sign two 10-day contracts with one team per season. 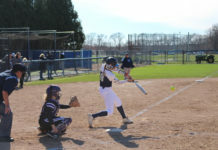 Tough series loss this past weekend for the Rhode Island women’s softball team who after winning the first game of the series, suffered two consecutive losses to drop the series. The troubling part of it all is the offense for Rhody which has been nonexistent recently. The Rams scored three runs total in the three games, with two coming in the 2-0 win during the first game. They have also scored just seven runs over their past five games, and 16 runs over their past eight games. They are 2-3 and 3-5 during those droughts respectively. Tough start to the season for the URI women’s tennis team who has suffered some bad losses recently. After winning their first match they have now dropped 10 of their past 11 matches, including their past seven matches. Tyler Wilson (5-2 win @ George Mason) – Wilson was flat-out dominant, earning his third quality start by going eight innings giving up just two runs on four hits, one walk and an impressive nine-strikeout outing. He now has 26 strikeouts, 14 hits allowed and just five walks in his last three starts. Becca Rogers (2-0 win @ George Mason) – The freshman was sensational coming within one out of a no-hitter and throwing her first career complete-game shutout. 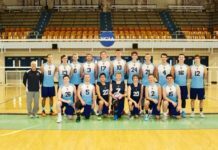 Team of the Week: URI men’s baseball (@ George Mason) – After winning their last series against Towson, Rhody then captured the opening series of Atlantic 10 play, giving them momentum for conference play. Off the Record: Â The Celtics currently are 30th, or dead last, in the NBA in free throws disparity, shooting 283 fewer than their opponent. They are also 11-11 on the road versus the Western Conference after going 0-23 in their previous 23 games.